Syed Muhammad Nishat ul Hassan Kazmi is working as a Senior Programs Consultant with The Media Foundation (TMF) in Pakistan. He is also engaged as an Asia Pacific Fellow for PoliTact in Pakistan. 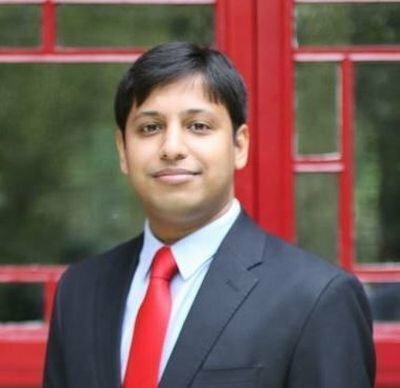 Prior to his current position, Nishat was a Yenching Scholar (2016-18) at Peking University, Beijing where he specialized in Public Policy and International Affairs and did his research on China’s investments under the Belt and Road Initiative (BRI) in Africa and South Asia. He has also worked as a Research Associate at the Centre for Research and Security Studies (CRSS), an Islamabad based think-tank. His work with CRSS focused on regional security and bilateral cooperation issues between Afghanistan and Pakistan, as part of a major track II initiative. Kazmi has also worked as an advisor with the Institute for Environmental Security (IES), headquartered in The Hague. During his association with IES, he contributed to The Hague Environmental Law Clinic project. He is also an assistant to the Bureau of the Global Military Advisory Council on Climate Change, a network which brings together serving and retired military officers from around the world to promote actions that help counter the adverse impacts of climate change. Previously, he has worked at the Pakistan office of Heinrich Boell Stiftung, the German Green Political Foundation, and the Embassy of Pakistan in The Netherlands. Nishat holds a B.A.LLB (Hons.) degree from Punjab University, Pakistan, an LLM from Maastricht University, The Netherlands and a Master in China Studies from Peking University, Beijing, China. He has received several awards including the Heinrich Boell Fellowship at Philipps University Marburg, Germany, and the Huygens Scholarship of the Government of the Netherlands. His areas of interests include sustainable development and South Asia, Chinese foreign development assistance and the Belt and Road Initiative (BRI).